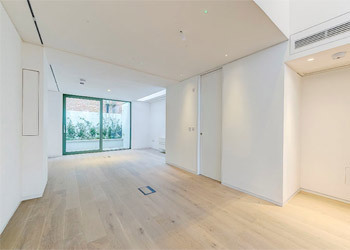 The property is situated on the eastern side of Portland Road, immediately to the north of the junction with Holland Park Avene. Other businesses located in the parade include popular restaurant 6 Portland Road; Kallaway Public Relations; K4 Creative Agency; Hoplikeabunny childrens shop; Jackson Stops and Barnard Marcus. View location map. £55,000 per annum exclusive, payable quarterly in advance, subject to five yearly upward only reviews. Either: A new effectively full repairing and insuring lease is available for a term of 10 years to be taken inside the Landlord & Tenant Act 1954 or a new shorter term internal repairing lease for up to five years outside the 1954 Act. For the longer term lease the tenant will contribute a reasonable share of the cost of maintaing and insuring the building structure; for the short term option a contribution to insurance only. Current EPC Rating 112 Band E - further information on request. The local authority has verbally informed us that the rateable value for the premises is £15,000 and the rates payable for the current year ending 31/03/18 are £6,868. Interested parties should make their own enquiries and confirm: - Royal Borough of Kensington and Chelsea business rates department 020 8315 2082.